We believe that playfulness, fun, colourfulness, and quirk are essential in creating a lighter world. We work to help adults reconnect with their inner child and allow themselves to play and enjoy the spectacle of life. We believe that barriers are created within the self as soon as we forget to play. Our purpose is to facilitate the expansion of hearts and minds for the next 300 years. We do this social innovation through gatherings which inspire, unite and unleash the human spirit. Everything we create is from a place of pure love with the intention of infusing positive energy and magic into our multiverse. Pure love is something we continuously work towards. We are dedicated to celebrating and uniting all communities and individuals regardless of age, sexual preference, gender, race, opinion or religion. We believe that a harmonious world is one in which there is acceptance within communities. 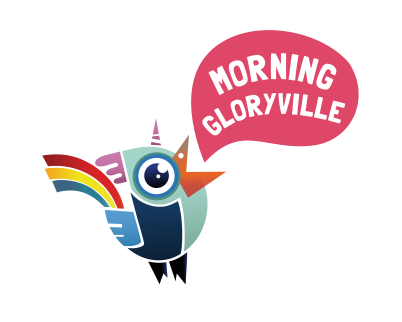 At Morning Gloryville we believe that vitality and wellness of heart, mind, body, and soul can raise one’s level of awareness of themselves, their community and the world we live in. Therefore, when we talk about consciousness we mean having greater clarity and awareness. When one’s consciousness is increased they live life with love, joy, purpose, vitality and wellness. Through creativity and limitless imagination, everything we create is focused on inspiring. Inspiration is the reason for all creation. We are grateful to those who inspire us and work to pay it forward far and wide. We support and believe in each person’s ability to grow. We challenge societal boundaries and limitations that do not advance our lifestyles and mindstyles. We encourage progressiveness, innovative thinking and living, as a way of speeding up human evolution. We believe that society has potential greater than our imagination. We continually question the status quo. We encourage communities globally to think about where their food, clothes, energy and other products come from, and deciding whether to buy and consume those things. We encourage exploration of how human interactions with natural systems can be improved and sustained. We like to keep it real and know that it may be difficult to purchase completely ethically in urban environments due to supply and demand and levels of income. All we’re saying is, let’s all TRY! We believe that a progressive company must review its values annually to avoid getting stuck into a pattern. We believe a dose of change on a regular basis expands hearts and minds. We also believe in continuous self-review and reflection, we see this as a gateway to a more realised community. We are happy to put our hands up when we make mistakes, and we value these lessons as a part of growth.